Half a year ago, the historic thaw between Ethiopia and Eritrea began. The Bundestag praises the rapprochement of the former archenemies - but makes clear announcements to Eritrea's autocratic government. 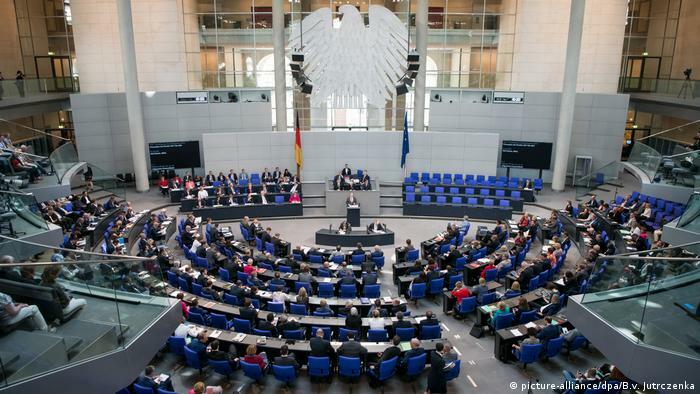 The Bundestag was able to deal with three applications for Ethiopia and Eritrea on Thursday evening, which in the major lines, however, hardly deviated from each other. 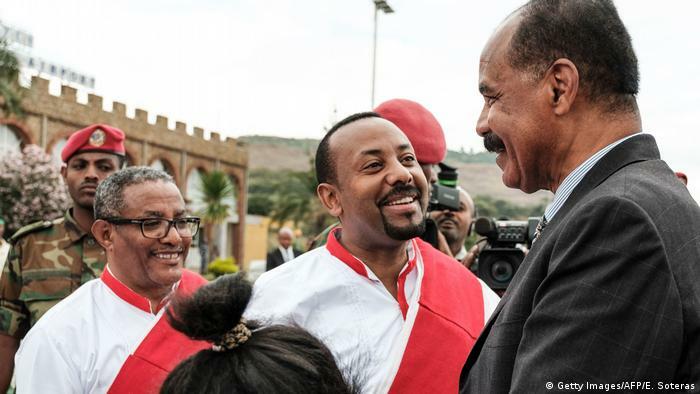 The peace agreement concluded last July between Ethiopia and Eritrea was a "historic and courageous step", according to the CDU / CSU and SPD proposal, which Parliament adopted by the votes of the governing parties. However, own applications of the FDP and the Greens found no majority. The FDP development politician Olaf in the Beek reminded in his contribution to the debate on the Élysée Treaty , in which Germany and France in 1963 had agreed a far-reaching political, economic and cultural cooperation. The treaty was then intended to put an end to the bloody conflict between the two countries during World War II. "The former hereditary enemies Germany and France have become close and trusting partners, who now play a joint leadership role in Europe and the EU," said Beek. "In the light of this development, our common goal must be to make the peace treaty between Ethiopia and Eritrea an African Elysée Treaty." MEPs praised the reforms of Ethiopian Prime Minister Abiy Ahmed . Since taking office last year , he has been driving the opening up of the autocratic one-party state : political prisoners have been released, an opposition politician has headed the electoral authority, and free elections are scheduled for 2020. "A political change, which would have been unthinkable some time ago, is clearly recognizable." Prime Minister Ahmed has changed his country within a few months by his rhetoric, the reform course and diplomatic successes in the region for the better ", praised the CDU deputy Gisela Manderla. Reform of the "national service"
At the same time, the parliamentarians demanded more pressure from the federal government on Eritrea. The small state is considered one of the most brutal dictatorships in Africa . Opposition parties and independent media are prohibited. Elections have never taken place since independence in 1993. According to UN figures, between 4,000 and 5,000 people have fled the country every month in recent years - against poverty and lack of prospects, but also before the so-called "national service". According to exile Eritreans, this often means years of forced labor in state enterprises. Domestically, in spite of the peace treaty, little has changed in Eritrea, according to the SPD foreign policy leader Christoph Matschie. "The clear message to the Eritrean government must be: We also expect reform processes and political opening in Eritrea, and here too we need freedom for a new development," said Matschie. In the request of the government groups, the Bundestag calls on the Eritrean government to limit the "national service" in time and to introduce an appropriate remuneration for all recruits. If domestic policy reforms were implemented, it would also be possible to reflect on the resumption of German development cooperation. Germany had set her in mid-2008 because of the autocratic governance of President Isaias Afewerki. During an Eritrea visit in August, German Development Minister Gerd Müller (CSU) made domestic reforms a prerequisite before funds could flow from Germany. Greens call for more caution when working with autocratic regimes in Africa, especially in migration control projects. 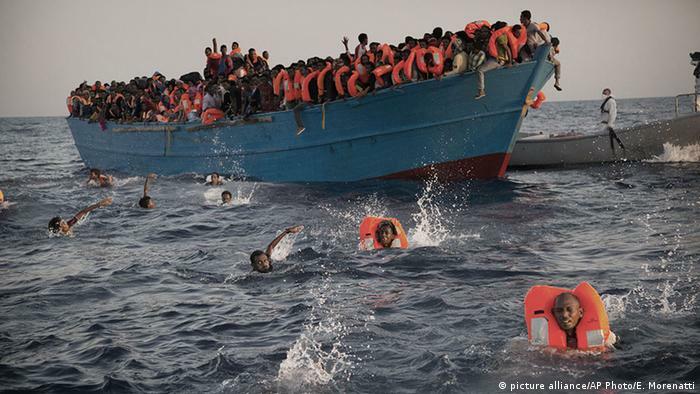 For example, the state-run German Association for International Cooperation (GIZ) is implementing a migration project on behalf of the EU, including Eritrea. "Who wants to promote democracy, human rights and stability, which must support peace and future prospects and must not rely on questionable deals and alleged security cooperations with autocratic regimes," said Deputy Group Chairman Agnieszka Brugger. The application of the Bundestag for the Federal Government, however, not binding. At the end of the month Federal President Steinmeier is due to fly to Ethiopia for a state visit.